Every spiritual seeker who has found his or her personal path has a story and for a young girl who is understanding this path, this book was a revelation. Through this book, I followed Richard Slavin (later named Radhanath Swami) from the suburbs of Chicago to the caves of the Himalayas as he transforms from young seeker to renowned spiritual guide. Radhanath Swami was born in Chicago in 1950. In his teens he set out to wander the world on a spiritual quest, eventually discovering the yoga path of devotion. In the summer of 1970, Radhanath Swami travels to Europe with a few high school buddies. After a short time, Richard and his best friend, Gary, find themselves traveling together on a spiritual quest. In Greece, Richard experienced an inner call to go to India, while Gary heads to Israel. Alone and innocent, Richard travels through Turkey, Iran, Afghanistan, and Pakistan experiencing close to death moments. Richard travels as a wandering mendicant seeking his path and a guru. 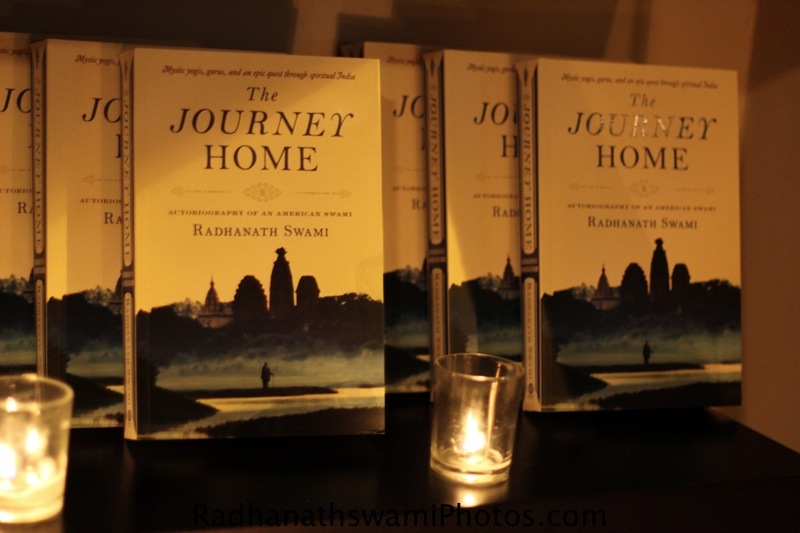 The Journey Home is an intimate account of the steps to self-awareness and the challenges people face on the road to inner harmony. The book is engaging, humorous, and heartwarming. Within this extraordinary memoir, Radhanath Swami weaves a colorful embroidery of adventure, mysticism, and love. The most beautiful stories come from his time spent with unknown but extremely advanced souls who serve with humility and sincerity. Indeed, that is one of the beauties of spiritual India: even to this day, such saintly individuals exist in humble anonymity. The name of the book coherently defines the feelings of Swami Ji. He leaves his family only to find HOME – where he finds inner peace and tranquility. Regular letters to his father and mother depict the inner struggle of the choice he made. When you finish this wonderful book, perhaps you will compare it to your own spiritual journey—or be inspired to begin one. I hope this book becomes a step of your Journey to Home. Like it became mine. You may buy a copy here.